There will be no excuses for not enjoying a festive time throughout the city and wider district of Lichfield this Christmas. For local people and visitors alike will be able to plan their Christmas in style with the help of a packed new guide to all the fun and events that will be going on across Lichfield city this yuletide. From carol services and the Christmas lights switch-on right through to a 2.5 kilometre Santa Dash, the colourful booklet is packed with more than 65 events to keep people active and entertained over the Christmas period. David Tomalin of Lichfield BID and Aileen Beesley of Visit Lichfield launch the Christmas guide. Lichfield Business Improvement District (BID), with support from Visit Lichfield, has produced 'Lichfield's Wonderful Christmas' brochure, which brings together a month of festive events and activities for all the family. A highlight of this year's festive calendar are the two Christmas festival weekends, taking place across the city on Saturday 2nd and Sunday 3rd December and also Saturday 9th and Sunday 10th December. The festival weekends will feature a range of markets selling beautiful gifts and artisan food and drinks. 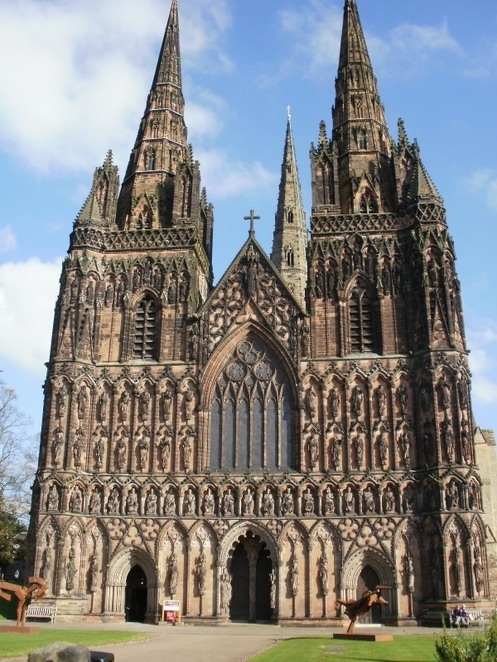 Other highlights include The Johnson Family Christmas and Erasmus Darwin's 286th Birthday Bash, while historic Lichfield Cathedral steps in with the eagerly anticipated Cathedral Illuminated: Star of Wonder, Star of Light, together with its series of carol services and the Christmas Tree Festival. In addition, the brochure contains news of Three Spires Shopping Centre's ice skating rink, which will be situated near Sports Direct, on Thursdays and weekends from November 23 to December 23 for those fancying a turn on the ice. The brochure also promotes Lichfield BID's Nutcracker Trail that will see a total of 12, eight-foot high nutcracker dolls dotted around the city centre for intrepid explorers to track down. Meanwhile, the Lichfield Garrick theatre has plenty of seasonal treats on offer with its pantomime, Aladdin, children's show, Home for Christmas, and the festive show for grownups, Crime on the Christmas Express. Lichfield's festive brochure has been produced by Lichfield BID with support from Visit Lichfield. Around 40,000 copies are going out to local homes, while brochures will also be available from Tourist Information at Lichfield Library on The Friary and in other city venues. 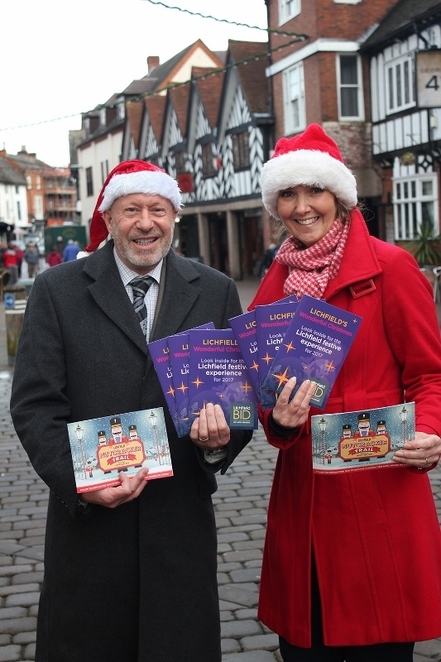 David Tomalin, Lichfield BID Manager, said: "I am delighted to launch Lichfield's Wonderful Christmas, which is a useful guide to all the fabulous festive events taking place in Lichfield this Christmas. There is so much to do and see in the city, why would you want to go anywhere else? From shopping, drinking and dining, sightseeing and activities to a nutcracker trail and much more, there is something for all the family this Christmas."